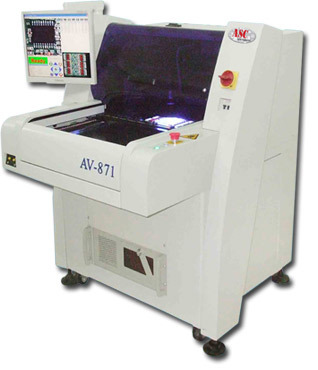 The AV871 Series of AOI solutions from ASC International builds upon the industry leading AV862 Series with the addition of a larger platform to manage over sized boards. Accepting boards as large as 22" x 26", the AV871 Series meets the needs of those companies requiring large board capacity. Solderability, Alignment, Lifted or Bent Leads, etc.